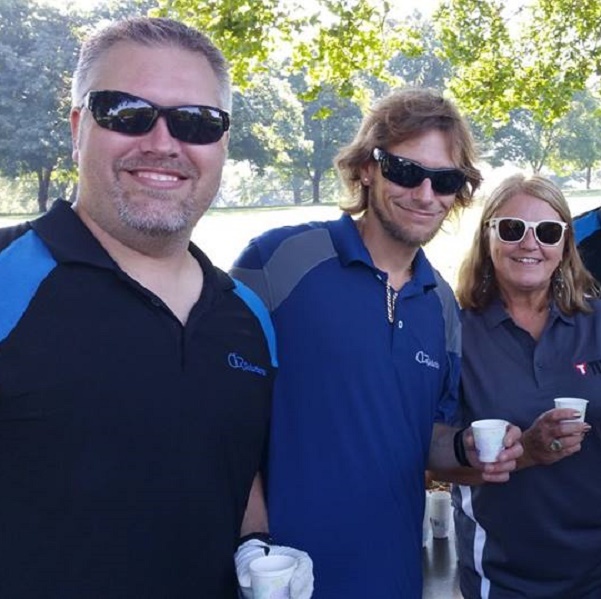 Travel industry leader Global Connections, Inc. (GCI), a travel club fulfillment and service provider of Global Discovery Vacations, recently held two successful fundraising events. The first, the 6th Annual Links of Hope was held in conjunction with Title Boxing Club and benefitted Hope House, Missouri’s Largest Domestic Violence Shelter. Services offered by Hope House form a safety net of prevention, education and support for thousands of people in the Kansas City area traumatized by domestic violence every year. Its mission is to break the cycle of domestic violence by providing safe refuge and supportive services that educate and empower those impacted by domestic violence. Hope House advocates social change that protects and engenders a person’s right to live a life free of abuse. The other event sponsored by GCI, Guns N Hoses, is a boxing event held in the Grand Ballroom of the Kansas City Convention Center. This benefits S.A.F.E., the Surviving Spouse and Family Endowment Fund, a not-for-profit organization of the Kansas City Crime Commission that supports the families of Law Enforcement Officers, Firefighters and Emergency Services Personnel in the Kansas City metropolitan area who have perished in the line of duty. In an effort to help ease the pain felt by these suffering families, S.A.F.E. provides emotional and financial support as well as college scholarships to children of first responders. Since GCI’s involvement, memorial contributions and scholarships have increased dramatically. For instance, in the past three years Line of Duty Death Benefits have doubled, Holiday Memorial Contributions increased by 25% and Scholarships doubled in number.